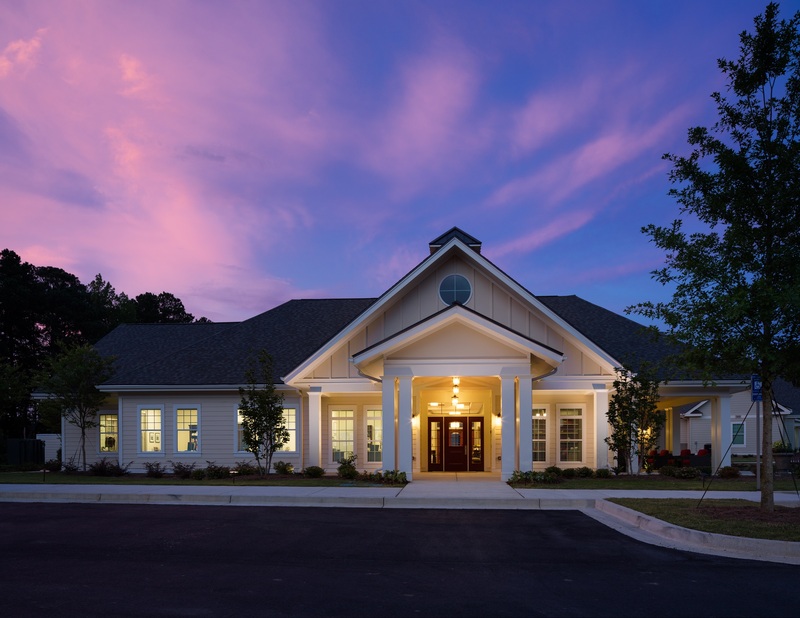 Evergreen Construction has received the 2018 Design-Build Institute of America (DBIA) Award for their work at Camellia Place Assisted Living Facility. The DBIA Award is an annual, nationwide honor that celebrates the best Design-Build teams and projects of various sizes and sectors. 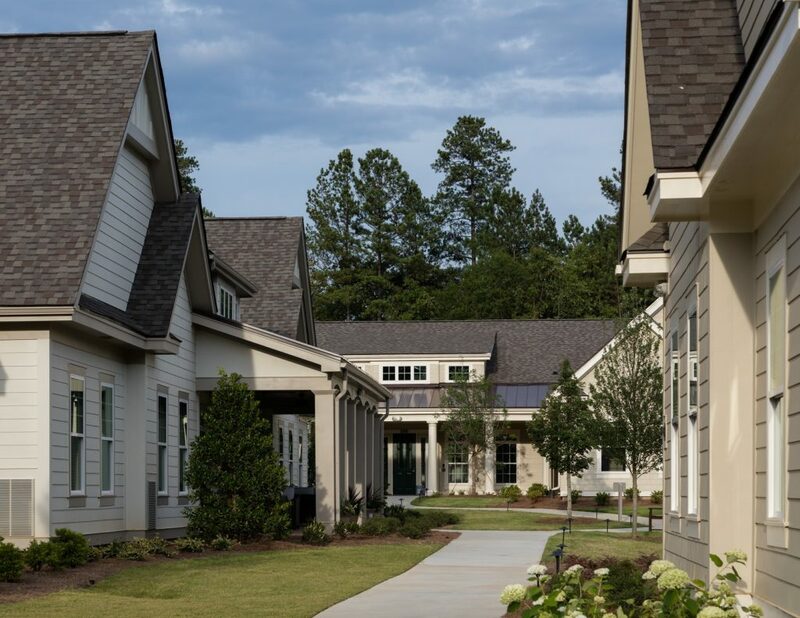 From the outset, Evergreen Construction collaborated with architect Collins Cooper Carusi to make Camellia Place a unique assisted living experience. 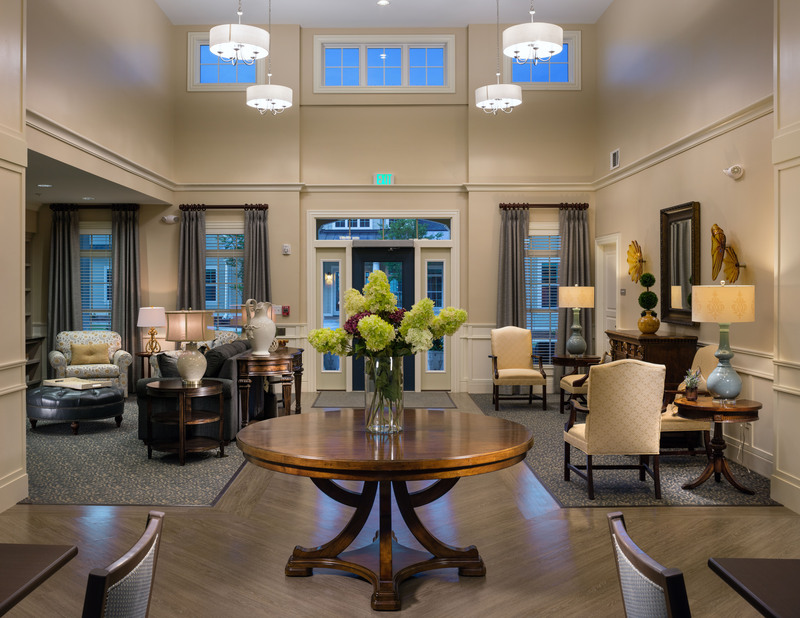 The vision for the community was to create a space that truly aided the well-being and memory care of residents while also invoking a neighborhood-style feeling. To accomplish this, the facility broke away from the standard “one building” model in favor of a cluster of six residential homes with a community building at the center. Officially opened in 2016, Camellia Place continues to provide a sense of comfort in a private neighborhood atmosphere. The facility’s guiding philosophy is “Adding Life to Years.” This philosophy is realized through thoughtful details, such as organized social activities, careful choice of colors and lighting, intimate spaces for social connections, paved walking trails, and proactive medical care. 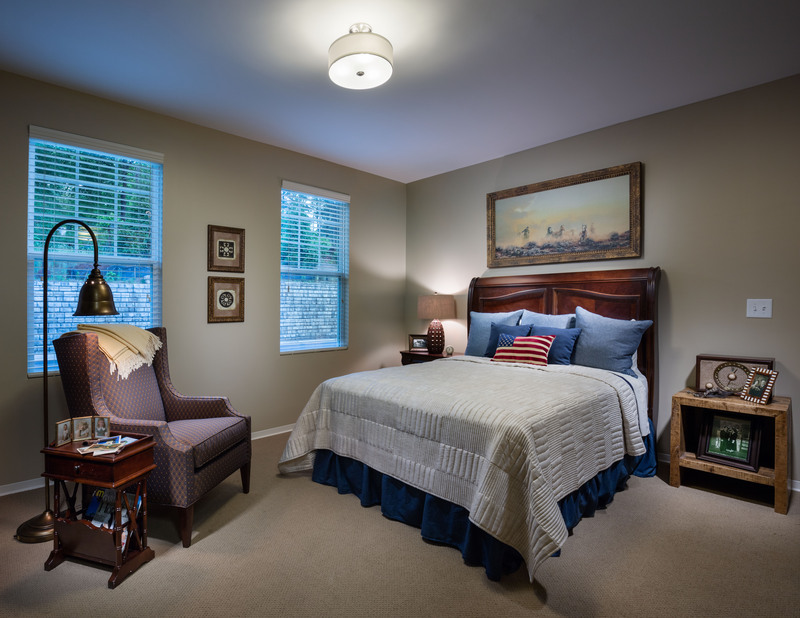 All of these details ensure healthy, thriving, and socially-fulfilled residents and staff. The 2018 DBIA Award cements Camellia Place’s position as a truly caring community of distinction while maintaining Evergreen Construction’s place as a group of talented, top-notch Design-Build professionals. “This beautiful place really makes our credo of “Adding Life to Years” a reality for our residents, their families, and our staff,” says Clifton. About Evergreen Construction: Evergreen Construction is a full service multi-disciplinary general contractor and construction management firm offering comprehensive construction services including pre-construction consulting, construction management, general contracting and design/build services for new buildings as well as renovations and alterations to existing facilities. The Evergreen Experience encompasses Evergreen’s commitment to delivering outstanding results through collaboration, professionalism, integrity and clear and consistent communication. About The Design-Build Institute of America: The Design-Build Institute of America is the only organization that defines, teaches and promotes best practices in design-build. DBIA represents the entire design and construction industry. As an institute, their primary objective is to provide education, training, networking and support to all players involved in the design and construction industry. Members span the entire spectrum of design and construction professionals, including architects, engineers, specialty contractors, owners, consultants, lawyers, business development professionals, students and teachers. Non-members are also welcome to participate in courses, conferences and in earning their certification. In addition to the DBIA headquarters in Washington, D.C., a network of 14 Regions work collaboratively to deliver products and services to members and customers.